Where would we be without gas? It’s the primary fuel source for cooking and heating in your caravan or motorhome and – by and large, it’s a fuss-free, loyal servant. That’s not to say it should be taken for granted. The safe and efficient working of your gas system is just one of the features that are assessed when your vehicle is serviced by authorised technicians. But, there’s still plenty you can do to make sure it all works properly – from checking for leaks to making sure you don’t run out of gas at the wrong moment. There’s a clue in the name – liquefied petroleum gas (hence, LPG), to give it its full name – but it’s exactly that: a liquid when carried in the cylinder, it only turns to gas on release into the atmosphere. Picking up the cylinder and giving it a shake is one way of determining how much gas there is left inside, but that can sometimes be harder than it sounds. There’s lots of other techniques we’ve heard about, such as pouring hot water down the side of the gas bottle and looking for a line of condensation, or feeling the side of the bottle for a change of temperature at the level of the gas. You could also weigh the bottle, buy a magnetic indicator, or there are some gas bottles, like the Calor Lite, that do come with a built-in Gas Trac to check your gas levels. We take a look at some other more scientific ways later. 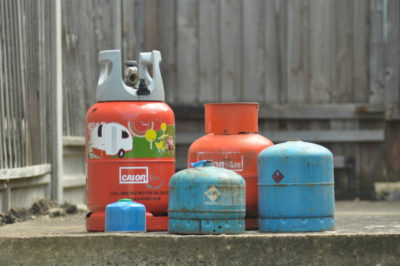 These are the two types of gas commonly available to users of tourers and motorhomes – propane and butane. Butane is more suited to milder weather conditions, hence is often the preferred gas of choice in campervans. Most caravanners and motorhomers, however, prefer to use propane for its all-year-round capabilities, although some folk still like to switch from propane to more efficient butane in the summer months. 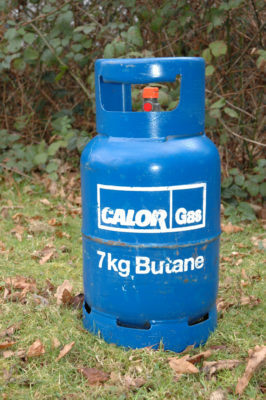 Normally, across the UK, propane comes in a red cylinder and butane in blue. However, there are some exceptions. 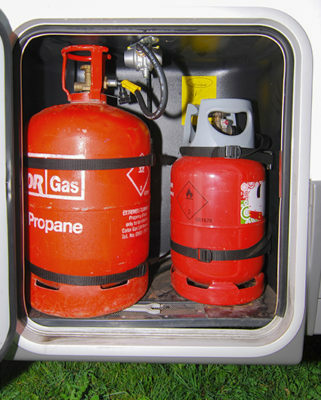 From 2004, caravan and most motorhomes (although not so many campervans) have been fitted with a 30mb fixed bulkhead regulator – this allows the use of propane or butane. There’s no point in lugging around two large cylinders if your gas use is minimal. Similarly, some leisure vehicle users prefer to carry one large and one small cylinder, so they always have a back-up if a cylinder runs out. A lot of folk get caught out when it comes to gas abroad. That’s because Calor cylinders (arguably the most popular in the UK) cannot be exchanged on mainland Europe. A typical fortnight’s break need not be a concern, but if you’re touring for longer or have a particularly high gas usage, do consider alternatives. Whatever gas you use, you’re going to have to have a suitable connector. Check your cylinder. Officially, there’s still a recall on Calor Lite cylinders manufactured between 2008 and 2011. Find out more here: www.calor.co.uk/recall. There are, apparently, still quite a few unchecked cylinders out there. We strongly advise any work on the gas system in your leisure vehicle is carried out by qualified personnel. Start by checking out the service centre facilities provided by your supplying dealer. Do consider fitting a carbon monoxide (CO) alarm inside your vehicle. This will warn if there’s a build-up of potentially lethal carbon monoxide – a side-effect of burning gas. Normal ventilation will dissipate this, of course. 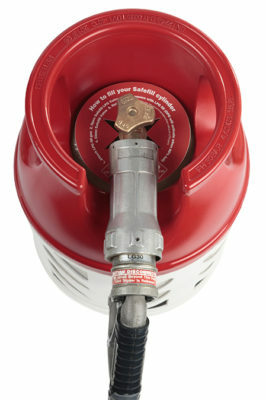 Your motorhome or caravan should have individual isolator valves for each gas-burning appliance fitted. Ideally, these are easy to access (be warned, plenty aren’t), but it’s a good habit to get into turning off each appliance’s gas supply before travelling. Some leisure vehicles (particularly motorhomes) now have the facility to use safely some gas appliances (heating, for example) whilst travelling. Do not block gas vents. Most gas systems have appropriate “drop vents” at any junction in pipework – gas is heavier than air so there’s an immediate escape route in case of a leak. Also, that somewhat odious odour that is added to gas will help you detect a leak. If not already fitted to your vehicle, also consider an appropriate fire extinguisher and fire blanket. If you do already have such items, check their expiry dates. 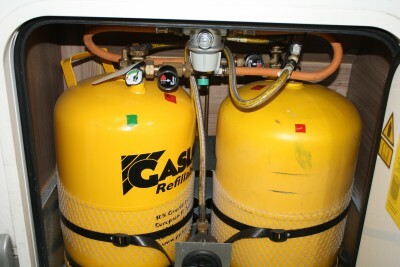 Always transport cylinders – whether connected or not – in an upright position in the appropriate gas locker. Use the securing straps supplied. Rubber hosing should come with a date of manufacture stamped on it. It’s recommended to replace them within five years of that date. Always turn off the main gas control valve before embarking a ferry when travelling across the continent. There are a few ways you can make more of your vehicle’s gas system. Here, we look at just some of the enhancements you could consider. These are becoming a much more common feature on motorhomes. Auto-Sleepers, for example, now fits gas tanks to nearly all of it models – van conversions and coachbuilts. 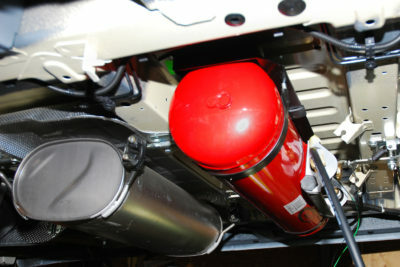 The advantages are twofold: it’s much cheaper to fill up with gas than exchanging a cylinder; and a permanent gas tank fitted underneath the vehicle (the usual location) actually frees up a lot of storage space that would have been taken by an in-board gas locker. 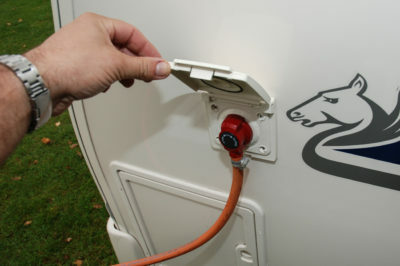 Having a gas tank fitted to your motorhome is sometimes possible. It usually depends on finding a suitable location for the tank. An increasingly popular feature on recent caravans and motorhomes – indeed, they can usually be retrofitted (it’s well worth asking about having such a fitting next time your vehicle is in for a service). An external gas point means you can hook up an outdoor appliance, typically a barbecue or other cooker, for use off your unit’s gas supply. You’ll need to make sure you have sufficient piping to operate something like a barbecue well away from the vehicle itself (as well as any awning, if fitted). Never be tempted to use a gas appliance inside an awning. 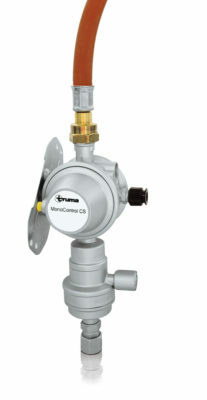 Truma introduced its MonoControl CS and Duo Control CS systems – for single and double-cylinder set-ups respectively – for the 2011 season. These replaced the previous SecuMotion system, but with the same principle – they allow safe use of the gas system (for example, if you want to heat the interior of your motorhome) whilst travelling. These systems can also be used throughout Europe. This UK company has been around for over 35 years, introducing its refillable gas systems for motorhomes and caravans in 2004. You can refill at any of the thousands of gas stations (usually, a normal fuel station that also offers gas) across the UK, as well as abroad (when you’ll have to buy adaptors, depending on which countries you intend to visit). 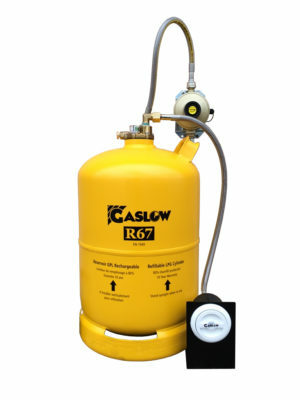 The R67 kit comprises a 6kg cylinder, valve adaptor, 37mbar regulator with 21.8LH connection and contents level gauge. Many users prefer to go for a two-cylinder system, with changeover valve. A 6kg tank takes 11.5 litres. Other sizes are 11kg and, the latest, 2.7kg. 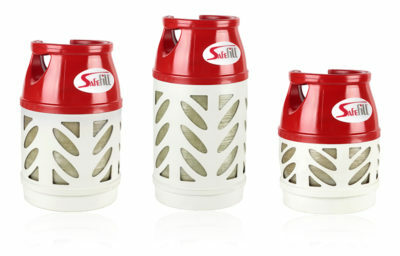 Something of a new kid on the block, but Safefill offers something different – you buy a lightweight cylinder that’s refillable. It’s light. You can see exactly how much gas you have left. And it’s refillable at any LPG dispensing pump (usually, fuel stations serving autogas). The price below is for a 5kg cylinder, which takes 9.5 litres. Two other sizes are available – 7.5kg (14.5 litres) and 10kg (19.5 litres). As a guide to weights, the 5kg cylinder is some 3.4kg when empty and 8.4kg when full. Cost to fill, based on a typical current average of 65p a litre, is £6.18. Adaptors are available for refilling abroad. Here’s a neat little device that can check the level of gas in a cylinder. 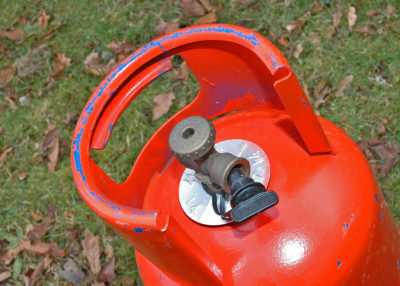 There’s a knack to using it effectively, but it works by being held horizontally to the gas cylinder, then takes ultrasound measurements as you move it up and down to determine the amount of gas remaining – a green LED shows there’s gas at the measuring point, if it’s red it means no gas, and while it’s determining the level it flashes orange. Suitable for propane in steel and aluminium cylinders. It can’t be used for plastic or butane cylinders, gas tanks or refillable gas tanks. 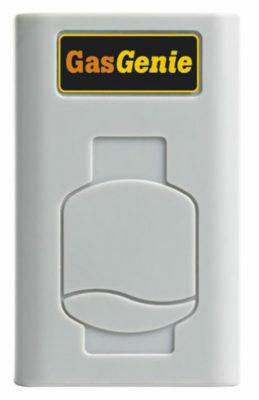 An electronic gas level indicator that emits an audible and visual warning when the level gets low. For use with steel propane cylinders, it simply clips on magnetically and works automatically as soon as your gas is turned on. *Special thanks for helping with this article go to Iain Geddes, senior technical advisor at the Camping and Caravanning Club. Got any gas advice you want to share with other readers? Or just a funny tale about running out at the wrong time…? Feel free to share in the comments box below. Hi Cheryl, there are recommendations for replacing the rubber pipes on your cylinder – typically, within five years of manufacture (the date for which should be stamped on the hose itself). It’s also recommend to replace regulators every 10 years. It might be an ideal opportunity to book your caravan/motorhome in for a service and ask the engineer m for advice? Hi Cheryl, there are recommendations for replacing the rubber pipes on your cylinder – typically, within five years of manufacture (the date for which should be stamped on the hose itself). It’s also recommend to replace regulators every 10 years. It might be an ideal opportunity to book your caravan/motorhome in for a service and ask the engineer for advice? I’ve just purchased a mobile catering unit. My question is this can my gas bottle be inside the external cupboard when in use. I’ve been told 2 different answers. The bottle is propane, attached by black hose to the regulator which is all within the cupboard. I have installed Gaslow systems three times now without any problems. It is easy to tighten connections correctly – and to my surprise, when I had to visit Gaslow to resolve a problem with a faulty regulator they used sealant on the threads of the connectors – I’d been told that was quite incorrect.) The gauges now fitted to these cylinders will show if any of the connections are leaking (turn off all appliances within your ‘van, leave the cylinder valve open and check the gauge after half an hour to see if it has moved – and if it hasn’t, just for assurance, check it again after another half hour: if it hasn’t moved, your connections are all gas-tight. Much more demanding is creating a gas-tight conduit for the filler pipe if that pipe has to pass through the habitation zone: it can involve drilling holes at awkward angles, in tight corners. I’ve done it twice now but it was hard work – and would probably have cost me a small fortune if I’d left it to my local dealer. I wish I’d taken photographs – I’m sure they would have been helpful to anyone else having to do the same. As an aside, I’ve also re-routed gas pipes in the habitation zone which had been badly installed and again, have found no difficulty in making gas-tight connections. However, I HAVE ALWAYS HAD ANY WORK I’VE DONE TESTED AND CERTIFIED BY MY LOCAL DEALER – essential if you are to satisfy your insurer. Hi very good article. No mention of planned discontinuation of calor lite bottles though. These have been excellent and handy gauge will be lost? can we ask why we have to go back to heavy steel propane bottles?? I have an underslung gas tank which frees up a significant amount of space in my small (<6m) motorhome which now houses a generator and barbecue as well as other odds and sods!. It works very well and costs around £15 for a full refill (25l) this lasts about two weeks off grid or 5-6 weeks on. I have an app on my phone for the whereabouts of refilling points and a five bar indicator contents gauge which gives me ample time to get it refilled. The only problems so far was when the gauge went wrong and we ran out of gas but that was fixed free of charge. The unit was supplied and fitted by Propex heating and cost about £600. Expensive but I think worth it. I hope this is helpful? Thanks John. Sounds like a worthwhile investment. NOTHING on this site regarding DIY fitting of refillable system and affects with insurance or safety issues? Is there any regulation or requirement for a gas certificate if DIY? Where a vehicle is used for private/social use then the fitter of any systems or modifications should be ‘competent’. We would recommend that any DIY fitment of a gas system is checked and certified by a suitably qualified engineer. This could be at a local caravan workshop or by searching the Gas Safe web site for a suitably qualified installer in your area. Caravan workshop personnel are trained specifically to work on LPG in caravans and motorhomes and receive certification known as STGW (Standards of Training in Gas Work). From an insurance point of view you must take all steps to safeguard your caravan or motorhome, equipment and personal possessions against damage. The property insured must be maintained in a sound and roadworthy condition and all precautions taken to prevent and minimise any claims. We would need to be made aware of any modifications to a motorhome and need to be confident that the person who has carried out the modification is suitably qualified or has the relevant skills to carry out the change to the correct standard. If not, we do need to run the modification past our underwriters Royal and Sun Alliance (RSA) for approval. Useful article thanks. Was interested to hear about the Gas Genie. Was tempted but the online reviews are appalling so think I’ll give it a miss. We have just got an Burford Duo Autosleeper this year and it has the under slung gas tank. So good so far. Very cheap gas but you do have to plan where you are getting your gas from as not all petrol stations have it. Very useful. But will the trume levelcheck work on the calor lite? 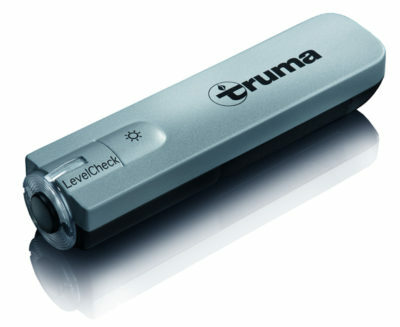 The Truma Level check can’t be used on Calor Lite bottles. It can’t be used for plastic cylinders, butane cylinders, gas tanks or refillable gas tanks. Clear and simple factual presentation. Gas-It also do refillable systems. A very interesting article. Some very good points . Very good information given. Thanks. I carry a weighing scale, the sort you use to weigh your suitcase, cost about a fiver. I compare with the empty weight (called tare weight) on the bottle.note this is in pounds and ounces. Have not had to change the bottle yet but the method works for patio gas. My Calor Gas Lite indicator went from full to low very quickly, within a week, but still giving gas a couple of weeks later. How accurate are these built in indicators? Very useful information, was not aware that so many options were available, will check my bottles for continental use.